Pippa Middleton and James Matthews were photographed attending the first day of the 2018 French Open at Roland Garros in Paris, France on May 27, 2018. 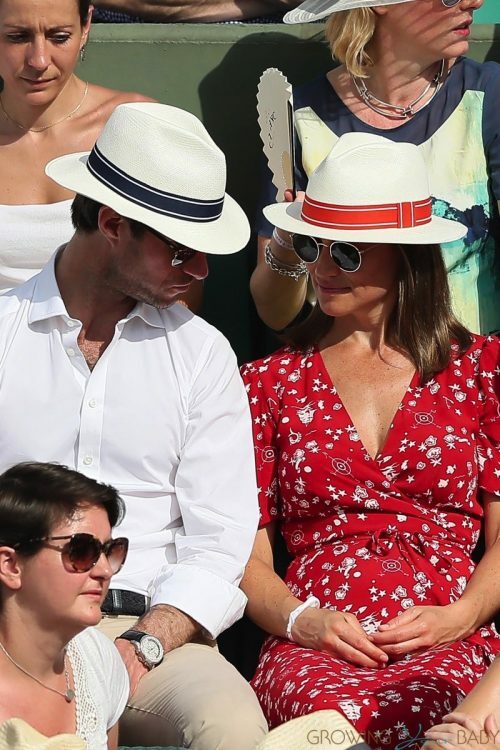 Pippa’s growing belly could be seen under her red nautical Ralph Lauren wrap dress as she sat in the stands. While the couple has yet to officially confirm the news, The Sun reported back in April that the couple were expecting, after reportedly telling their family and friends “after her 12-week scan”. 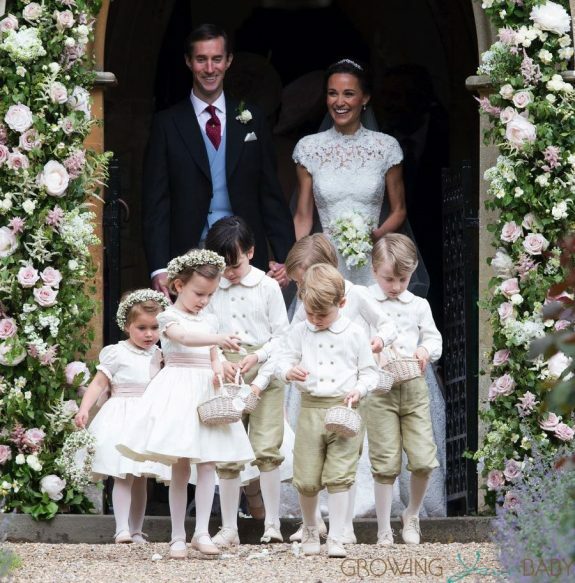 The new baby will be the first child for the couple who were married in May 2017 at St. Mark’s Church in Englefield, Berkshire, U.K.